We’d love to hear your club’s news. 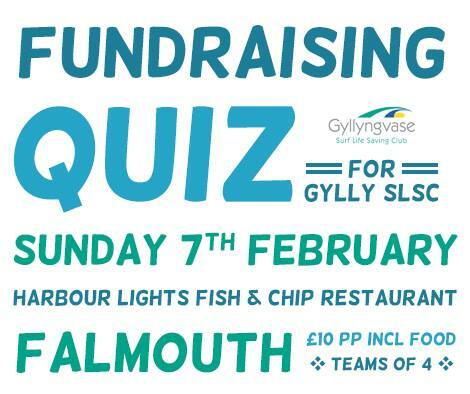 If you’re hosting an event, fundraiser or have just got something exciting you would like to share please let us know and we’ll put it online or in the e-newsletter. Contact us and let us know all about it. What’s a Floodie? December 2015. Nine of us are qualified now to assist in flood rescues anywhere in the country with about 36 hours’ notice. None of us is quite sure why we have volunteered for all this. We had to attend one day initial training followed by two weekends learning knots, wading and getting washed away in rivers, playing with ropes, pulleys, dry suits and other PPE and not to mention just a little power point with films of scary stuff in North Carolina. Next those already qualified are going to the Cardiff International White Water center……..Read more here. Last Thursday 8th October, while acting as safety cover in an IRB for BBC shooting a surfing lesson by Andrew Cotton for “Countryfile” Paul Reid and Morgan Howgate of Saunton Sands SLSC were tasked to the rescue of a surf canoeist who was in serious trouble. He had capsised and had been swimming against the current for quite some time but making no progress. The filming stopped as the camera crew thought that people were messing around right in front of them. After the rescue they continued with the filming but had missed the real action. Potentially another life has been saved in the sea at Saunton. 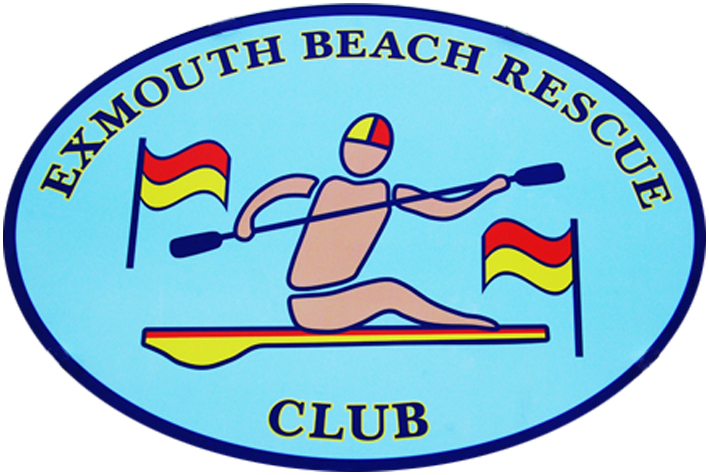 The IRB section of Saunton Sands SLSC provided water safety cover at the first Lynmouth triathlon (Tri the Beast) and along with people on rescue boards the Club provided water safety for the Ilfracombe triathlon again. The organisers commented favourably on the professionalism of the Club. In July eight Saunton Sands members and one Woolacombe Club member achieved DEFRA level 3 awards in flood training and in September / October five of the Saunton Sands members to DEFRA level 5. Surf Life Saving Devon now has a Flood Resilience Unit that once they are fully equipped can be called upon by the Home Office or the Police to be deployed anywhere in Britain or possibly even Europe. Most of the members of the team are Saunton Sands members. Saunton Sands and Croyde SLSCs have jointly purchase new training manikin and defibrillation equipment. This is the Laerdal Resusci Anne QCPR AED Torso and the Phillips FRx Defibrillation trainer along with a SimPad SkillReporter. They will now be able to train these techniques to a much higher standard and are exploring the possibility of running a “Community First Responder Course” in the new year for club members and the general public. Marcus Or, a member of St Ives Surf Life Saving Club last week represented Great Britain in the European Surf Life Saving youth Championships in Alicante, Spain. The GB team finished third behind eventual winners Germany and France in a competition hotly contested between sixteen countries. The team of six male & six female athletes from all over the UK competed over five days in pool, sea and beach events; Marcus reached the finals for all individual events and won a team gold medal for the Male Ocean Relay. involved – whether you are 7 years old or 70 years old a warm welcome awaits you! 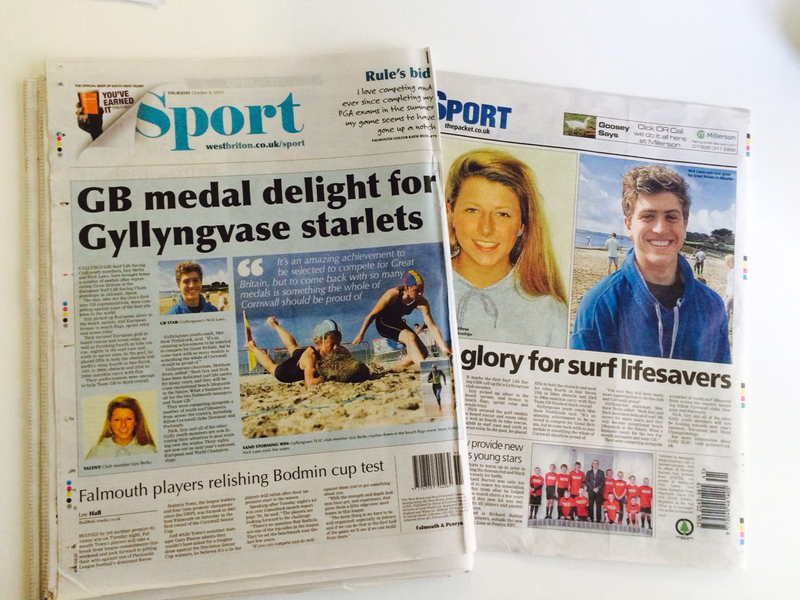 Gyllyngvase Surf Life Saving Club youth members, Izzy Berks and Nick Laws, were selected to compete for Great Britain at last week’s European Surf Life Saving Championships in Alicante, Spain. They both proved their selection was no mistake, bringing home a number of medals; racing against some of the best youth athletes on the World’s stage. 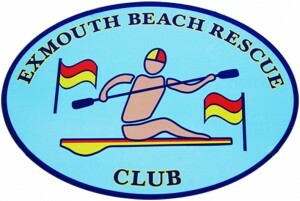 It is the first Surf Life Saving GBR call up for a Gyllyngvase club member. Izzy picked up European silver in the beach sprints, and European bronze in beach flags, sprint relay and ocean relay. Nick secured European gold in board rescue and ocean relay. 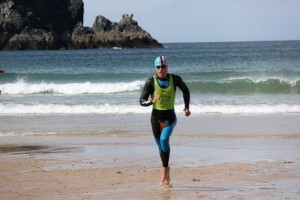 As well as 4th in tube rescue, 8th in Surf race and 6th in sprint relay. In the pool, he placed 5th in both the obstacle and medley relay, 4th in line throw, 13th in 200m obstacle and 23rd in 100m manikin carry with fins. Team GB finished an incredible 3rd overall. 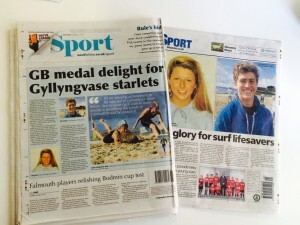 Gyllyngvase chairman, Matthew Stone, added ‘Both Izzy and Nick have been dedicated surf lifesavers for many years, and they will become exceptional beach lifeguards in the future. What a fantastic result for the two Falmouth teenagers and team GB’. 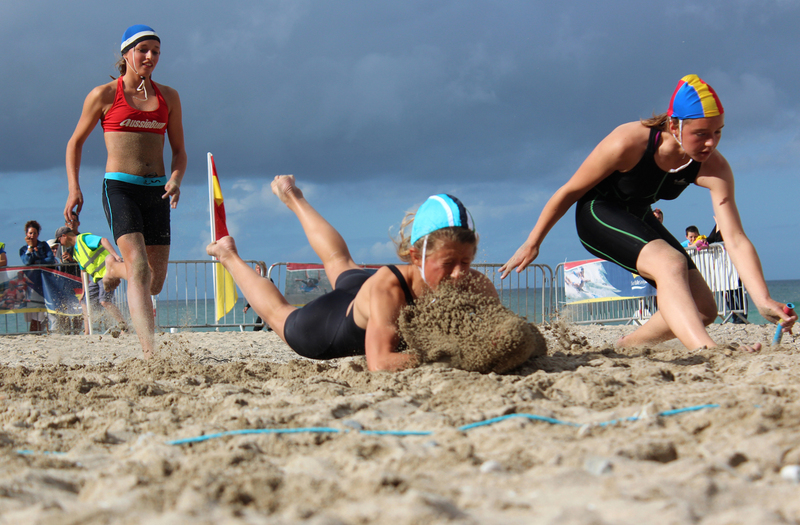 They were competing alongside a number of youth surf lifesavers from across the country, including athletes from fellow Cornwall clubs Newquay and Portreath. Nick, Izzy and all of the other Gylly youth members are now focusing their attention to pool training over the winter. Their eyes are set on next year’s national, European and World Championships.